Birds do it, bees do it, so surely all of us can do it! June is Great Outdoors Month, which means that if there was ever a time to be encouraged to spend more time outdoors in nature, it’s now. 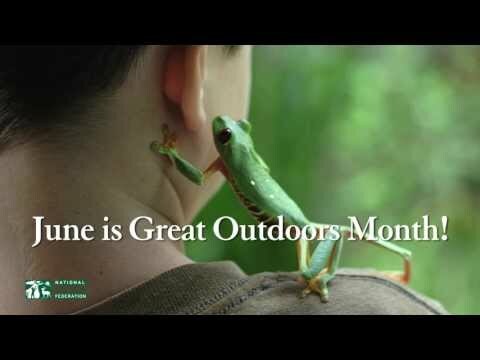 Check out this video on how to celebrate the great outdoors all month long! From walking and wildlife watching to canoeing, picnicking or swimming, there are dozens of easy and fun activities you can do to spend time outdoors all month long on your own, with family or with friends. Give Us Proof You Go Outside! How are you getting outdoors in nature this month? Snap a pic and share it at www.facebook.com/nationalwildlife OR email your photos to alerts@nwf.org and we’ll share them for you.